Persimmon Fruit Trees “Persimmon” or “KAKI Persimmon” is the flavoursome Spanish variety (and registered trade mark) of the traditional, classic Kaki, or Persimmon (with a double ‘m’), which also includes the Sharon fruit. 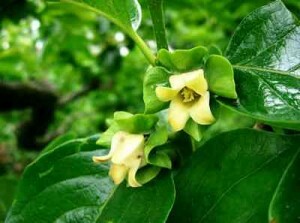 It is grown in Spain in the Ribera del Xúquer valley in the Valencia region. 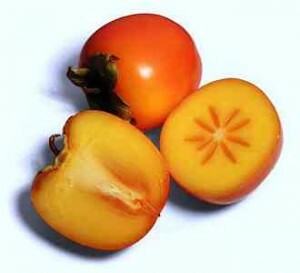 The Persimmon has a gorgeous yellowy orange coloured skin that is easily peeled away to reveal the sweet orange flesh. 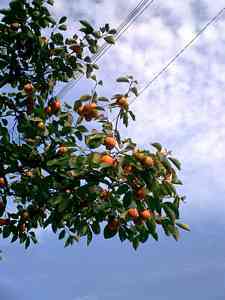 The word Diospyros means “the fruit of the gods” in ancient Greek. 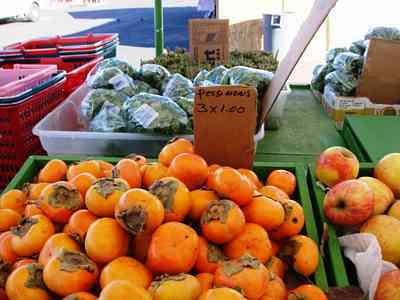 “Persimmon” or “KAKI Persimmon” is the flavoursome Spanish variety (and registered trade mark) of the traditional, classic Kaki, or Persimmon (with a double ‘m’), which also includes the Sharon fruit. It is grown in Spain in the Ribera del Xúquer valley in the Valencia region, where it is DO certified. 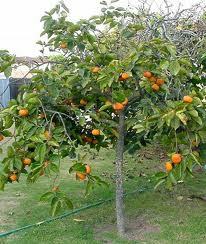 So when growing our own, I guess we will have to call them persimmons with two m´s. 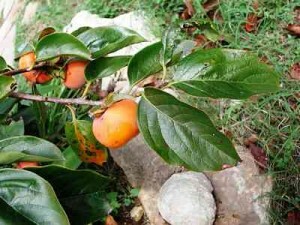 Astringent persimmons must be jelly soft before they are fit to eat, but if you leave them on the tree to soften and improve in quality, you will probably lose many fruits to the birds. 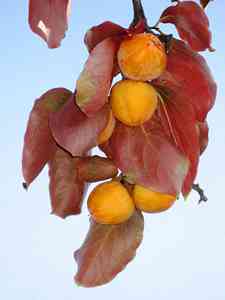 So harvest when they are hard but fully coloured – they will ripen off the tree if stored at room temperature (and even quicker if they are placed in a plastic bag, together with an apple). Freezing the fruit overnight and then thawing softens the fruit and also removes the astringency. The location of fruiting and replacement wood on a Ruakura ‘Y’. In Hidden Gardens of Spain fascinating treasures from one of the most popular tourist destinations in the world are uncovered. Writer and photographer Eduardo Mencos has been given access to hidden corners of famous gardens such as the Alhambra and to private gardens known only to a privileged few. 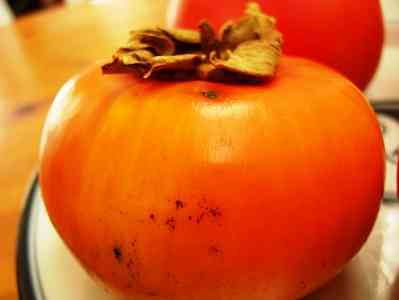 Persimmon or KAKI Persimmon is the flavoursome Spanish variety of the traditional, classic Kaki, or Persimmon (with a double ‘m’), which also includes the Sharon fruit. 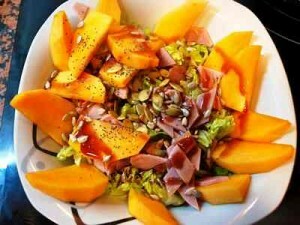 It is grown in Spain in the Ribera del Xúquer valley in the Valencia region.